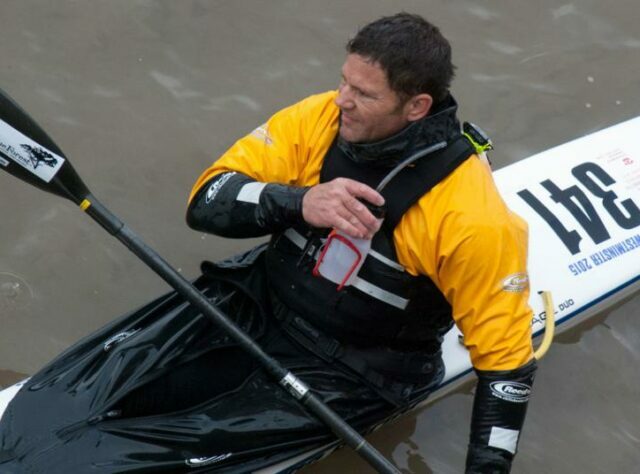 Television presenter Steve Backshall has thanked World Land Trust (WLT) in a video about the Devizes to Westminster (DW) kayak race and his commitment to saving an area of rainforest in Colombia. Steve took part in the 125 mile race to raise money to enable WLT to purchase and protect an area of Chocó rainforest in Colombia. “We did the race to raise money to buy a big chunk of pristine, gorgeous, biodiverse rainforest in Colombia that no one would ever be able to touch,” he explained. So far Steve has raised more than £46,000, and has hopes of reaching his dream target of £50,000. The other member of Steve’s kayak team was George Barnicoat, who was raising funds for the charity Yellow Submarine. The race didn’t go as smoothly as planned, with the pair suffering three rudder wire breakages before the halfway point of the 24 hour race. This caused setbacks, but they powered through the night, finishing in 23 hours and 17 minutes. Meanwhile, negotiations are ongoing regarding the acquisition of a suitable area of Colombian rainforest. Steve is taking part in Camp Bestival, a family friendly music festival in Dorset, appearing on the main stage to talk about his exciting animal encounters. WLT will have a pitch at the festival. You can still sponsor Steve on his JustGiving page.